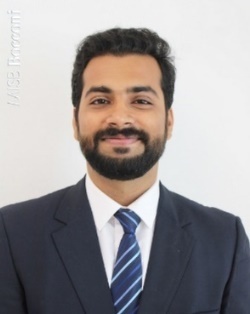 Abhinav S Kumar is currently a PGPB Candidate (Post graduate program in business ) at MISB Bocconi, based in Mumbai, India for the academic year 2017-2019. Previously, he has worked with SAI Aviotechnics as the Head of Technical Services for 9 months, based in different cities in India at various airports/airfields. He completed his graduation in Mechanical engineering from Vellore institute of technology, VIT University in first class. Research interests: Global Project Management, Leadership, PM Planning, Project Management, PM Strategy, Operations Management, Diverse Stakeholders Management, Projects execution and control, Transportation Projects Management, Supply chain and logistics management, Agile management, Change management, Scheduling and planning. To learn more about Abhinav S Kumar, click here. For information about the Post Graduate Program in Business at MISB Bocconi, click here. Share the post "Abhinav Kumar"